Our next meeting will be on Tuesday, March 3, at the Rapides Westside Library in Alexandria. Time is 6:30pm. The public is invited. This is our rescheduled February meeting, which was cancelled due to winter weather. For this meeting, our speaker will be club member Roger Breedlove. Roger has built custom rods for many years. He will talk about what goes into making an effective fly rod, including various blanks, components, and other materials, as well as rod actions. Whether you're interested in someday building a rod, or simply curious about what makes for a well-made rod, you'll enjoy this program! Also on the agenda: upcoming club outings in March to the Little Mo (trout) and to a local lake for bass and bream. Also, Kisatchie National Forest Day on March 21st at Kincaid Rec Area. This celebration of fly fishing includes seminars, fly tying demos, casting demos by certified casting instructors, vendors, drawings and more. Fly tying demos begin at 9:00am. 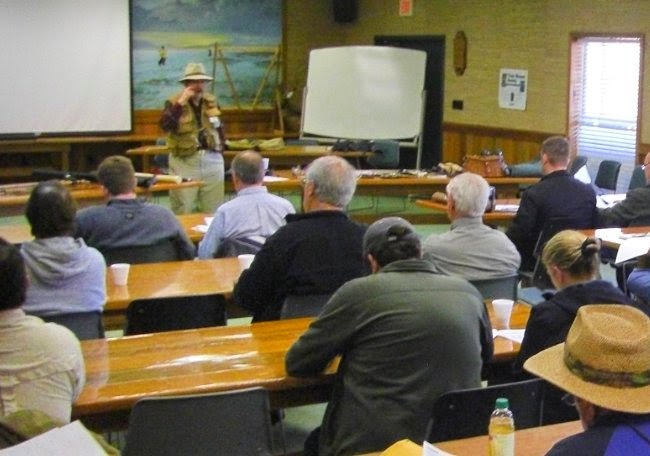 Seminars include "Correcting Common Casting Errors", "Fly Fishing in Chile", "In Search of the Illusive Tarpon". Also, IFFF Gulf Coast Council president Kyle Moppert will talk about GCC activities. 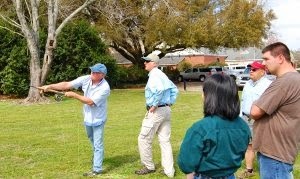 A schedule of the day's activities, along with featured fly tiers and speakers, can be found on www.acadianaflyrodders.com, as well as the www.warmfly.com and www.louisianaflyfishing.org websites. The National Weather Service has issued a Winter Weather Advisory for central Louisiana for Monday and Monday night, February 23. Freezing rain and sleet are forecast, and temperatures will be above freezing only for a few hours. All schools, libraries, and other public entities will be closed. Safety for our members is a prime concern. We advise to stay off iced roads except in case of emergency. We may postpone the meeting until Thursday, or just cancel for this month altogether. Stay tuned. Our next fly tying session will take place on Tuesday, February 17, at the Rapides Westside Library in Alexandria. Time is 6:30pm. The public is invited. This month Dan Fromme will show us the Christmas Tree. No, not the one he decorated for Christmas. Rather, this is a popular fly for catching rainbow trout on the Little Missouri River in southwest Arkansas. But it's also a good fly for white perch and bream. Best of all, it's easy to tie. Since this meeting precedes Saturday's "Fly Fishing 101", we'll spend about 5-10 minutes talking about the event prior to getting started on the fly. Prime fishing season will soon be here. 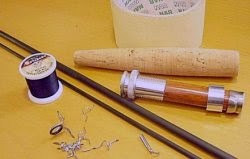 Now is the time for anyone interested in learning about fly fishing or how to cast a fly rod. The Kisatchie Fly Fishers will hold their 2nd annual "Fly Fishing 101" clinic on Saturday, February 21 at the Booker-Fowler Hatchery in Forest Hill. Time is 8:30am to 12:30pm. The clinic teaches the basics of fly fishing such as equipment, casting, leaders, knots and applications. Best of all, this workshop is FREE! Handouts, coffee, lunch, and refreshments are provided. The club even has a few rods and reels for use during the session. However, if you have equipment, it is advised to bring it as it's best to learn on what you own. However... class size is limited. Early registration is required. If you snooze, you lose! To register, please contact Catch Cormier at 318-793-5855 or Dan Fromme at 318-880-8079. For more info, click on the "Fly Fish 101" page on the menu. 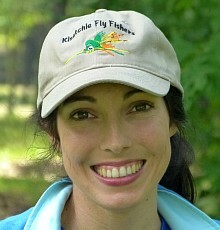 Cenla Fly Fish Fest a big success! Our first-ever Cenla Fly Fishing Festival exceeded expectations. Many thanks go to the following: our club members who gave their efforts leading up to and during the event, our speakers, our guest tiers, our casting guru (Jeff Ferguson), our exhibitors, and our many donors. We will leave our Festival pages up so you know who these folks are. Please thank and support them! The event made the Town Talk newspaper and KALB TV news. Mayor Clarence Fields - a self-described fishing fanatic - showed up and was wowed by the fly tying. Attendance was just over 120, we added 11 new members, and we signed up several folks for our Fly Fishing 101 next month. We also raised enough money to fund our conservation and educational wish-list. We have already set a date for the 2nd annual Fest in January, 2016. Look forward to seeing everyone!